It's A Home Grown Revolution: How to make a GREAT burger! Let's face it. We all like good burgers! So many times we are disappointed with the outcome. I have friends who went on a summer time quest last year for San Diego's best burger. I mean really.... people are into burgers. Once in a while it is nice to go out for a great burger. If you do 99.9% of the cooking for your family you TOTALLY understand what I am saying. No prep, no cooking, no clean up, nothing but eating and having someone take your plate away. But as the warm weather is upon for for a few more months we are spending more time outside and will certainly cook and eat more meals outdoors. So I have to admit......I make an AWESOME hamburger. And today my friends, I will share how I do it. It is simple, everyone I have ever shared the recipe with is amazed at how good it is and how simple to create pure grill greatness. So here it is. 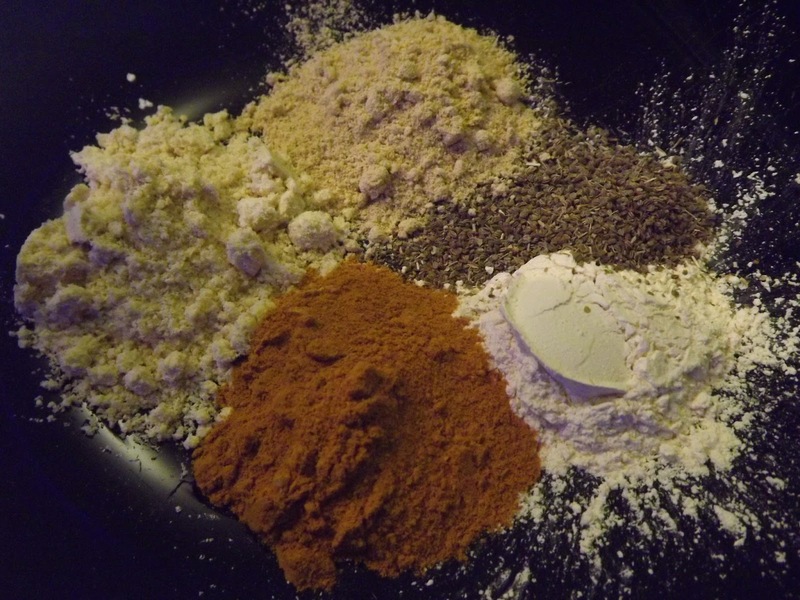 Get a nice big bowl and add ginger powder, garlic powder, tumeric, dry mustard powder and celery seed. Mix this all up (as much as your taste buds like, I use about 2 T of each per 2lbs of meat) add about 2 lbs of ground meat (grass fed beef and bison are my faves) then squirt on 2T of your favorite BBQ sauce and mix with your hands. THEN it is time for the cheese. Pull out some slices of pepper jack cheese and build 2 small patties. Put 2 small cheese slices on top of one of the burgers, top with the other. 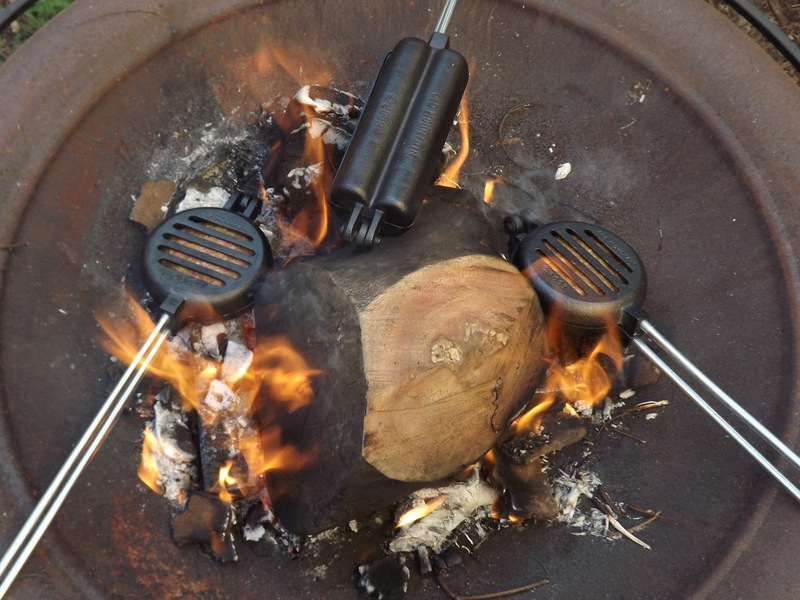 open flame burgers in cast iron cookers! NOW THE IMPORTANT PART! Hold them in your hand and start crimping the edges together until there are no seams. This will give you a stuffed burger that WILL NOT ooze out and will stay super moist. Hit the grill and cook however you like. One more secret of mine. 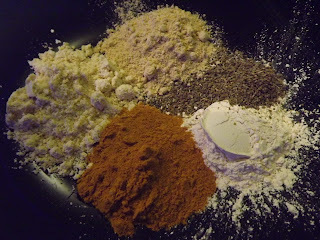 On my buns I use mustard, lettuce, cilantro, pickles, onion, DANDELION and SWEET POTATO PUREE. Those last 2 will make it even more amazing. Good luck grilling this beautiful summer, and give the above a try, guaranteed hit!